A good suspension system gives a vehicle a smooth, even ride while providing LAKE FOREST drivers with good handling and control. But like any system on your vehicle, parts of the suspension system can wear out, leading to a lower ride quality and safety concerns. So it's a good idea for drivers in LAKE FOREST to remember their suspension system in their schedule of preventive maintenance. Springs do most of the work of the suspension system. The most common types of springs are coil and leaf, but air springs and torsion bars are becoming more common. The body of the vehicle is “suspended” by the springs. Shocks wear out gradually, so it can be difficult for LAKE FOREST drivers to notice when they need to be replaced. There's no definitive point when a vehicle's ride goes from "smooth and controlled" to "a bit imprecise." To check if your shocks or struts are worn, you should first do a visual inspection on them. If they are leaking fluid, they need to be replaced. Your owner's manual gives recommendations on how often the shocks should be checked, usually between 15,000 and 30,000 miles (24,000-50,000 km). If one of your shocks does need to be replaced, you should replace all four. This will keep your suspension even and ensure good handling of your vehicle. If you carry heavy loads, tow a trailer or drive on uneven LAKE FOREST area terrain, you might also consider upgrading to a heavy-duty shock. Regular shocks contain hydraulic fluid. The fluid helps them absorb the bumps or “shocks” of the road so the impact doesn't transfer to the vehicle's body. Premium shocks are filled with compressed nitrogen gas, which costs more but does a better job of controlling body motions. Regular shocks can develop air bubbles that reduce their effectiveness; the premium shocks don't have this problem. So if you want higher handling performance, if you drive off-road around CA or if you just want added comfort, you should consider upgrading to premium shocks or struts. Replacing struts can put your vehicle out of alignment, so an alignment check should always follow this type of repair. 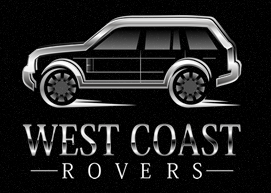 Talk to your service advisor at West Coast Rovers in LAKE FOREST for more information.